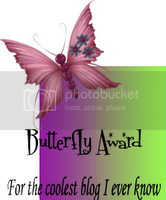 Posted on December 19th, 2009 by roxxyroller in Giveaways Canada. Do we have any tea lovers in the house? If you hap­pened to be addicted to tea just like I am, then you will be just as pleased as me with LuxLeaf Teas! I hap­pened to be doing a search for fla­vored teas awhile back on the net, as I am get­ting bored with the same old black tea that I am orig­i­nally accus­tomed to. Sure, black tea is still up there on my favorites list, how­ever I desired a tea with a lit­tle fla­vor, or ‘kick’ to it! And this folks, is when I dis­cov­ered the very amaz­ing LuxLeaf Teas and am so ecsta­tic that I found them!! LuxLeaf is a com­pany based in Toronto Ontario Canada and spe­cial­izes in all types of yummy teas! LuxLeaf is an arti­san whole leaf tea blender and dis­trib­u­tor of gourmet loose tea of pre­mium, nat­ural, organic, and fresh ingre­di­ents. Sourced glob­ally and blended, pack­aged locally in Toronto every day! Their exten­sive vari­ety of teas include the orig­i­nal black, plus all sorts of oth­ers like white tea, green tea, herbal tea, and a huge line of deli­cious fla­vored teas! All of the teas that I was for­tu­nate enough to try are mouth-watering, and the prices for these teas are com­pletely unbeatable! Rooi­bos Caramel Creme which is a deli­cious blend of rooi­bos teas and nat­ural fla­vors of caramel and dulce de leche. For a rich and creamy dessert drink add a splash of milk and sugar. Rooi­bos is also known as Red Bush or Red Tea. Caramel bits give this make this Rooi­bos a great dessert bev­er­age. A great herbal tea with a cream under­tone to it. Try with brown­ies, choco­late cake or on its own. YUMMY!! It was so good — right to the last drop! The next pack­age of fla­vored LuxLeaf Tea I received was Bour­bon Street Vanilla. One word for this — FANTASTIC!! I enjoyed it immensely! It is described as Fruity with sweet notes. Vanilla fla­vor­ing gives the Rooi­bos a won­der­ful exotic jazzy depth.“The cin­na­mon spice fla­vor­ing gives this Bour­bon Street Vanilla Rooi­bos a won­der­ful vanilla n’ jazz char­ac­ter — ter­rific served hot and sen­sa­tional served iced — try it as a Rooi­bos latte as an alternative. And Thirdly, was the Blue­berry Blast. Just delight­ful!! This is a won­der­ful Sri Lankan black tea that has an intox­i­cat­ing aroma with the sweet flavour of wild blue­ber­ries. Stud­ies are rolling in show­ing that one of the health­i­est foods that you can eat is a blue­berry. Rich in anti-oxidants, our one-of-a-kind Blue­berry tea com­bines the best of both worlds: the great flavour of blue­berry with the bright, full taste of Cey­lon black tea. My words for these teas? Impres­sive and out­stand­ing, deli­cious and mouth­wa­ter­ing. I totally give LuxLeaf Teas an A+ in my books!! The very kind and gen­er­ous peo­ple over at LuxLeaf wants to give one lucky Cool­Canucks reader the chance to win 3 pack­ages of these teas as well in your choice of fla­vors, plus a Mesh Tea Ball!! What a won­der­ful prize!! I know that you will enjoy these teas just as much as I do, they com­pletely have me sold on their teas, and will be defi­nately order­ing more in the near future! You can pur­chase their teas directly from their web­site here! 1) Head on over to LuxLeaf and tell me in a com­ment which 3 teas you would pick if you were the lucky winner! Become a Face­book Fan of LuxLeaf ! Please leave me your Face­book Name. Pur­chase any­thing from LuxLeaf for the dura­tion of the give­away and get 10 extra entries!! Just tell me in a comment! A HUGE thank you to LuxLeaf for spon­sor­ing us with this GREAT Con­test here at CoolCanucks!! I SUBSCRIBED VIA EMAIL and i fol­low but i fol­low under my gmail. Eng­lish break­fast, pep­per­mint and earl grey. I am a fol­lower and suscriber (same email addy but at gmail). I like peper­mint, bour­bon street vanilla and eng­lish breakfast. Bour­bon Street Vanilla, Blue­berry and Peppermint…mmm! I would pick the Long Island Straw­berry, Bour­bon Street Vanilla, and Rooi­bos Caramel Creme!! The Bour­bon Street Vanilla, Peach Apri­cot, and Provence all sound deli­cious. Thank you! I’d choose Provence, Margret’s Hope, and Eng­lish Break­fast. Thanks! my daugh­ter just loves any and all teas. 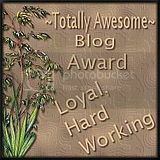 CoolCanucks Blog Contests ~ List Of Current Contests On The CC Blog. Enter Now For Your Chance To Win!! I’m a white tea nut, so I’d choose the Pai Mu Tan, Wile White Blue­berry and 100 Mon­keys teas. I sub­scribe to your blog — tooluck­y­ducky AT hot­mail DOT com; I fol­low on google friend con­nect @bcgirll, and my three favourite teas, that I would choose are all Rooi­bos ones.……Caramel creme, Bour­bon Street Vanilla, and Provence. I sub­scribe via email using this email address. I fol­low via google friend con­nect as 409cope. I like the Rooi­boos Bour­bon Street Vanilla, Masala Chai and the Serengeti Sun­rise teas. I fol­low on twit­ter as 409cope. I’d pick the Caramel Creme, Red­bush Chai & Wild White Blue­berry! Yum! If I won (oh please, oh please!) I would choose 100 Mon­keys, Irish Break­fast, and Green Blos­som. I fol­low CC on Twit­ter at Tan­ta­De­sChiens. 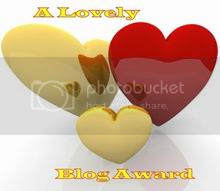 This give­away has been Stum­bled by Wan­daLa­Panda. RSS sub­scriber via Google Reader. OMG.. I just ordered some tea from the site you wrote about http://www.luxleaf.com and it is so good. The pack­ag­ing is beau­ti­ful and they also sell infusers for a great price (5 bucks)! I got the Pep­per­mint, Japan Ban­cha, and Eng­lish Breakfast…great story and thanks for writ­ing about it. I ordered tea from this site too! So so so great as they have such a large vari­ety. Was just on the site again today and they seem to have updated with well­ness teas, think I might just be plac­ing another order. Detox would be great, sounds like it tastes deli­cious and has all these great ben­e­fits! Love that it is Cana­dian too! Aww, man, do I have to stop at just 3?? They all sound so yummy!! And the 3 teas I’d most like to try are Bella Coola, Nat­ural Detox, and Peach Apri­cot. They all sound so yummy!! I would select Earl Grey,English Break­fast and Lover’s Leap. I sub­scribe via email and fol­low via google! I fol­low you on twitter! I am a forum mem­ber! 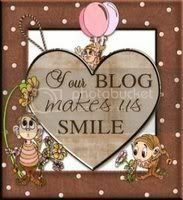 I have your but­ton on my blog! Uups sorry, just saw that I posted a daily tweet twice on jan 28. Sorry, the first one of Jan 28, I actu­ally posted on the 27th, but I guess I am in a dif­fer­ent time zone, so it was already Jan 28. CoolCanucks Blog Giveaway ~ Current List of All The Fantastic Giveaways Going On Right Now!! Green Blos­som, Japan Ban­cha, and Organic Green Energy. It’s offi­cial, I’m an email subscriber. I believe I sub­scribed through google friend connect. Assam, Earl Grey and Masala Chai. Wow, do those guys have it made or what?? I would choose berry infu­sion, lovers leap, and long island straw­berry! I fol­low your blog on google friends con­nect– Joanne Schultz . i fol­low on twit­ter — js22222222 . I sub­scribe to your blog’s feed via google reader. I would choose Earl Grey,Bourbon Street Vanilla, and Win­ter­side teas. I liek the Earl Grey, the Bour­bon Street Vanilla, and the Crème Caramel! I’m also a subscriber/follower! Thanks!! Thanks for the great con­test! I want to try the Royal For­mosa Oolong, Jas­mine with Flow­ers and Wild White Blue­berry. I sub­scribe and fol­low Cool­Canucks Via Google Friend Connect. I would pick the 5 O’clock, Eng­lish Break­fast and Masala Cjhai teas. I fol­low Cool­Canucks via Google Friend Connect. The 3 LuxLeaf teas which I would pick if I were the lucky win­ner are: 100 Mon­keys, Pai Mu Tan, and Jungpana! I FOLLOW COOLCANUCKS VIA GOOGLE FRIEND CONNECT! masala chai bour­bon street vanila and blu­berry blast ty. I love the Apple Cin­na­mon tea, the Berry Infu­sion tea, and the Blue­berry Blast tea! I sub­scribed with the email address lilyk@mail2world.com. I fol­low your blog. I became a Face­book fan of LuxLeaf under the name Lily Kwan/likwan. I reg­is­tered for your forum with the user­name lilyk.